After our long Winter, we are all looking forward to the Spring Flowers, Grass, Trees, Warm Weather and yes even the Bugs. 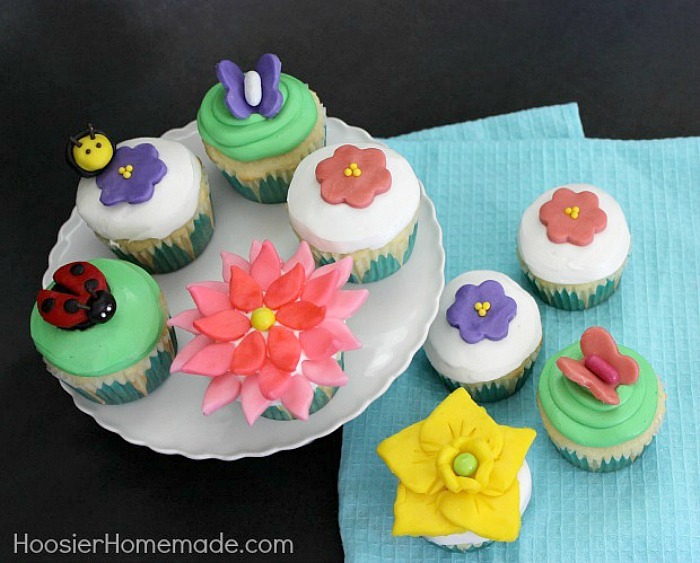 These Spring Flower Cupcakes are a celebration of what Spring has to offer. 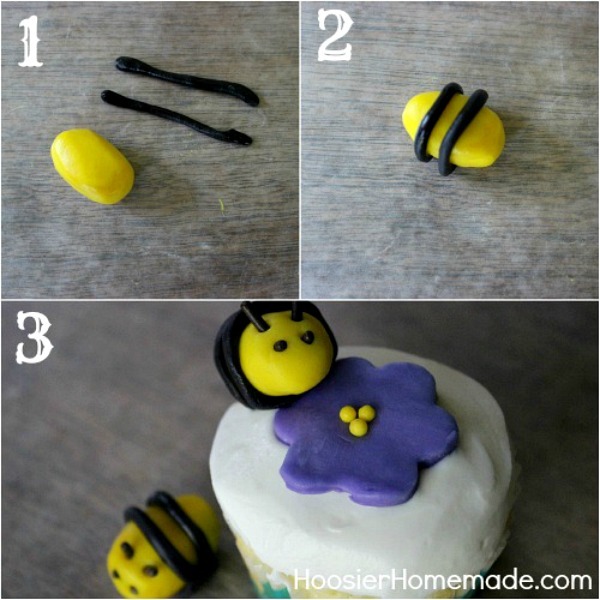 The flowers, lady bug and bumblebee are made with Candy Clay, a fondant like product that is easy to make, work with and taste really good. Happy Cupcake Tuesday! I’m so excited you are here! 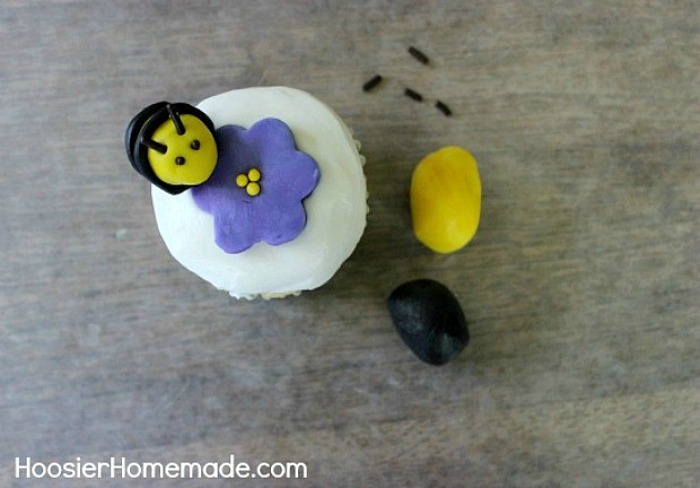 Looking for a cupcake recipe? 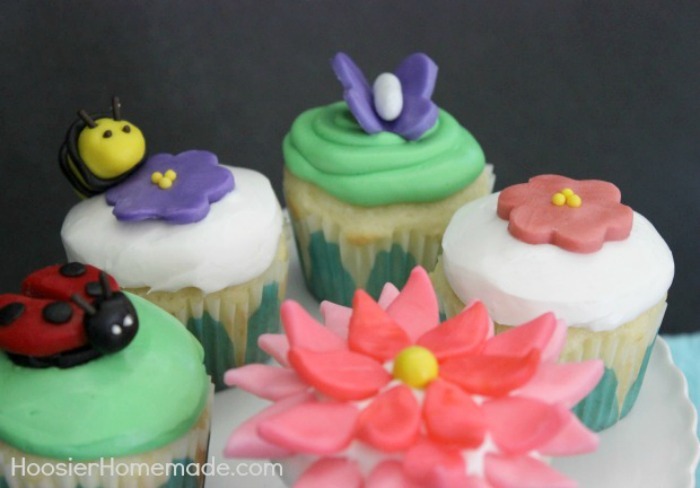 Be sure to check out the Cupcake Heaven page, there are over 300 cupcake recipes and decorating ideas! 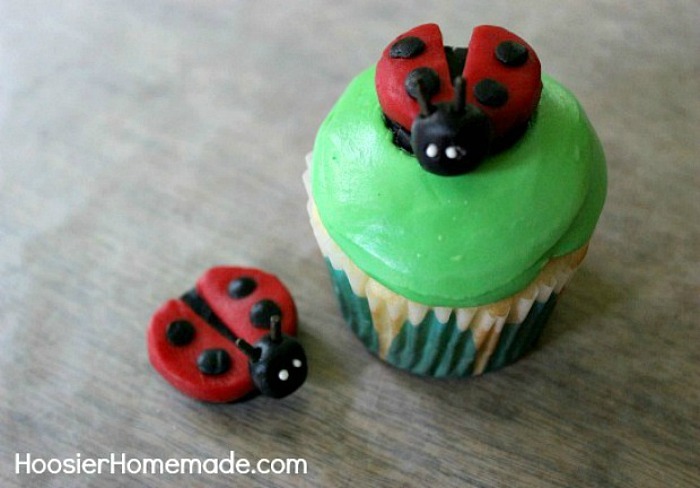 I first learned how to make and use Candy Clay in the Cupcakes, Cookies and Pies. oh My! Book. With just 2 ingredients, it’s very easy to make and work with, but it does require some time so be sure to plan ahead. 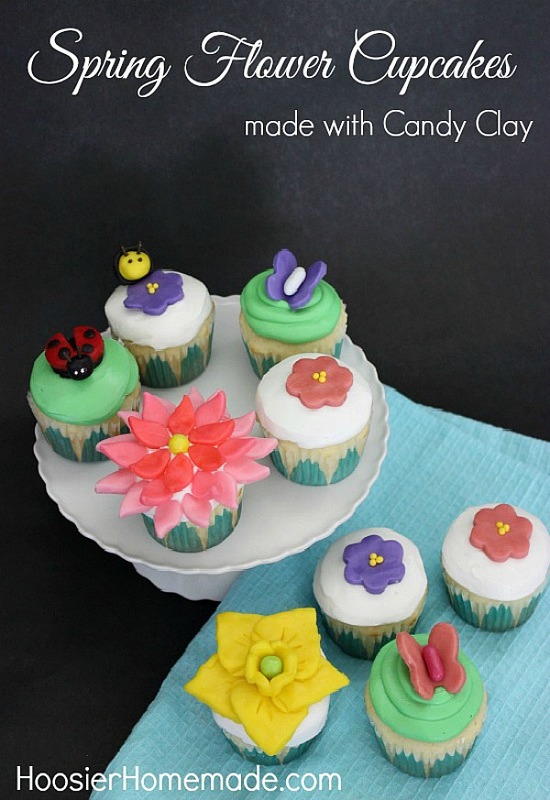 You can work with Candy Clay just like fondant, but the best part…it taste good! 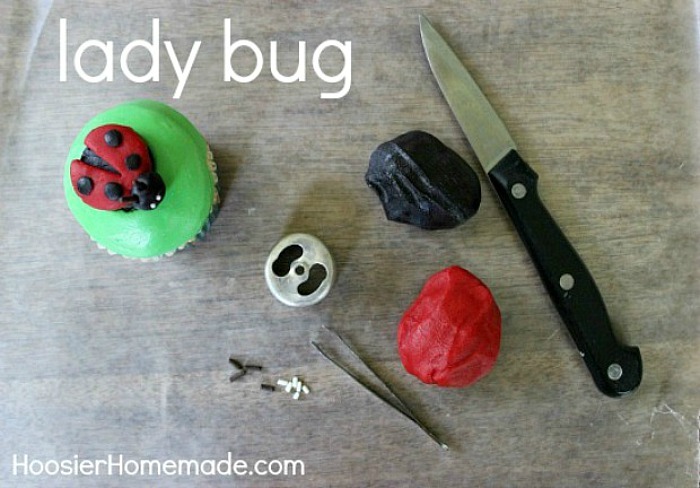 Roll out Candy Clay with a rolling pin or your hand. 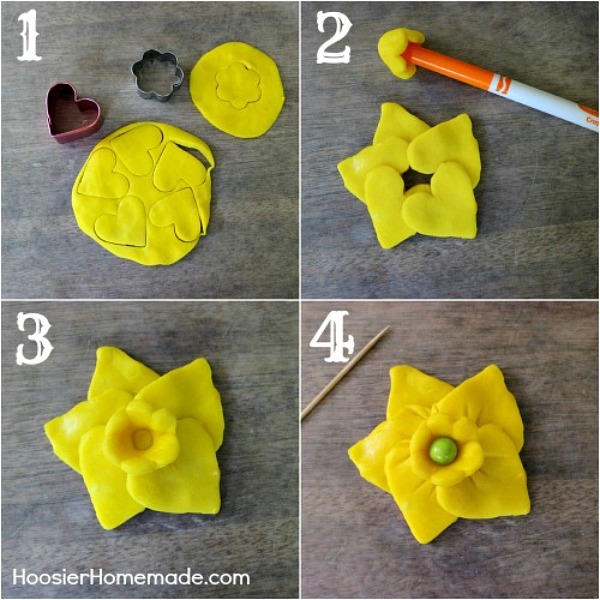 Cut out 5 hearts and 1 flower for each Daffodil. Allow the cut clay to rest about 10 minutes. Lay the hearts in a circle, overlapping. 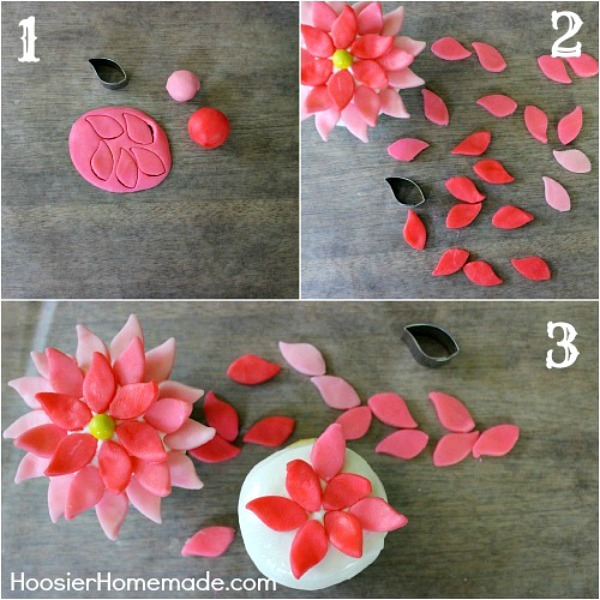 Mold the flower cut out around the tip of the marker and let rest for about 5 minutes. 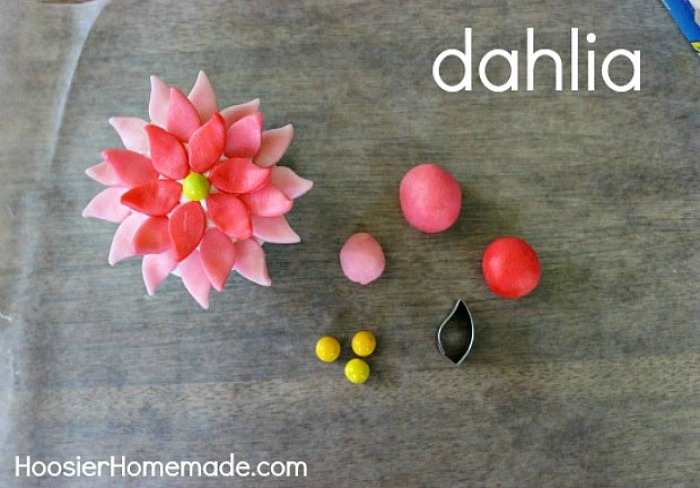 Roll out Candy Clay with rolling pin or your hand. Cut out leaves. I used 5-6 of the darkest shade, 6 of the middle shade and 12 of the lightest shade. Slightly curl up the pointed end with your fingers and place on the cupcake. Add the candy for the center. Using the knife, cut the red circle in half about 7/8 down the center. 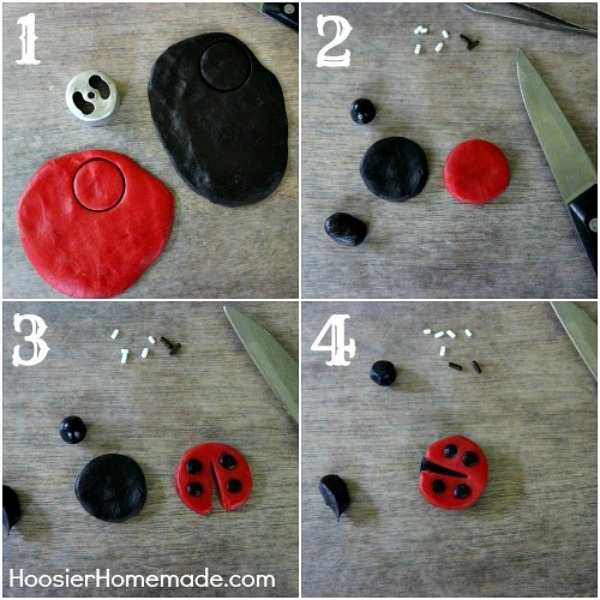 Roll tiny balls of black clay and add to the red for the dots. Now add the head to the body and carefully add the chocolate sprinkles on top and the white sprinkles for the eyes. Use tweezers if necessary. Roll the yellow clay into an oblong shape for the body. Then roll 2 tiny pieces of the black clay into ropes. Make a batch of white, then divide for coloring. A little goes a long way with this clay. After coloring the clay, let it rest for about 10 minutes, it’s easier to handle. Store in an airtight container for up to a month. We use our Food Saver system and it keeps for at least a couple months. Thanks so much Sue! 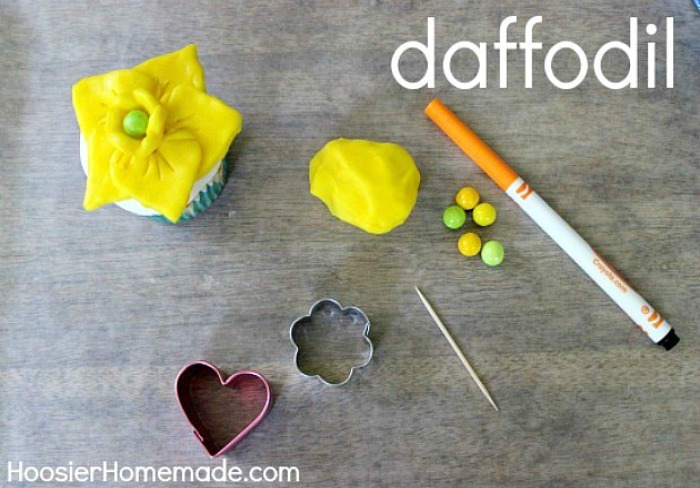 They are definitely fun to make, like playing with play-doh.